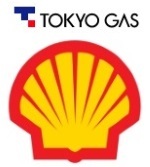 Tokyo Gas Co., Ltd. (President: Takashi Uchida; “Tokyo Gas”) has executed a heads of agreement (HOA) with Shell Eastern Trading (Pte) Ltd. for the supply of liquefied natural gas (LNG). Since three years ago, Shell Eastern Trading (Pte) Ltd. and Tokyo Gas have been engaging in joint discussions to consider a new type of LNG agreement that can contribute to creating LNG demand. As a result, for the first time among the two companies, Shell and Tokyo Gas have come up with an innovative pricing formula that is based on coal indexation and included this to the agreement. Under the agreement, Royal Dutch Shell plc. (“Shell”) supplies LNG to Tokyo Gas from the Shell Group’s global LNG portfolio, rather than from specific LNG projects. The HOA will allow Tokyo Gas to secure a long-term, stable and competitive supply of LNG. Tokyo Gas received Japan’s first-ever LNG cargo on November 4th 1969 and this year marks the 50th anniversary. Tokyo Gas Group will continue to provide stable and safe source of energy to all our customers. Tokyo Gas Co., Ltd. is Japan's largest provider of city gas, serving more than 11 million customers for over 130 years, primarily in the Tokyo metropolitan area and surrounding Kanto region. We will respond to the needs of customers, society, and the next age while working to contribute to the realization of a prosperous, fulfilling way of life, competitive domestic industries, and an environment-friendly society. At the same time, recognizing our responsibility toward society, we will maintain a state of harmony with the communities in which we operate and aim to achieve sustainable growth for the Group by ensuring that we conduct management in a transparent and organized manner.